When I was given the opportunity to review the movie edition of the book "90 Minutes in Heaven, a True Story of Life and Death" I might have rolled my eyes a little bit, initially thinking it was just another book about a guy who died and went to Heaven. And then I read a little more - while Don Piper, the author of this 245 page paperback book, did die and go to Heaven, he was not happy to have been come back to life, which really sets the story apart and makes it quite interesting and well worth reading. Don, a pastor, was involved in a serious car accident. Paramedics and rescue workers declared him dead and lay a tarp over his severely mangled body. 90 minutes later, after experiencing the joy, love, and peace of Heaven, while being prayed for by a priest who happened on the accident scene Don begrudgingly came back to life to face the immense pain and agony of his recovery. Don Piper very honestly shares his story, including his anger, depression, and pain during the year he was hospitalized. He discusses his faith and why he believes God returned him to earth and why he had to go through all the agony that he did, what he gained from his experience, and what he feels his calling is post-accident. I found this to be a very enjoyable book. It's an easy read, and interesting enough to keep the reader engaged. While it's impossible to fully understand what Don has gone through he did a good job describing his experience, allowing the reader to be immersed in the story. What was most interesting to me was how many people I know who've read the book. As soon as I'd mention that I was reading it other people would share their take on it. The new movie "90 Minutes in Heaven" is being released nationwide September 11th. The movie stars Hayden Christensen, Kate Bosworth, Michael W. Smith, Fred Thompson, Dwight Yoakam, and Jason Kennedy. 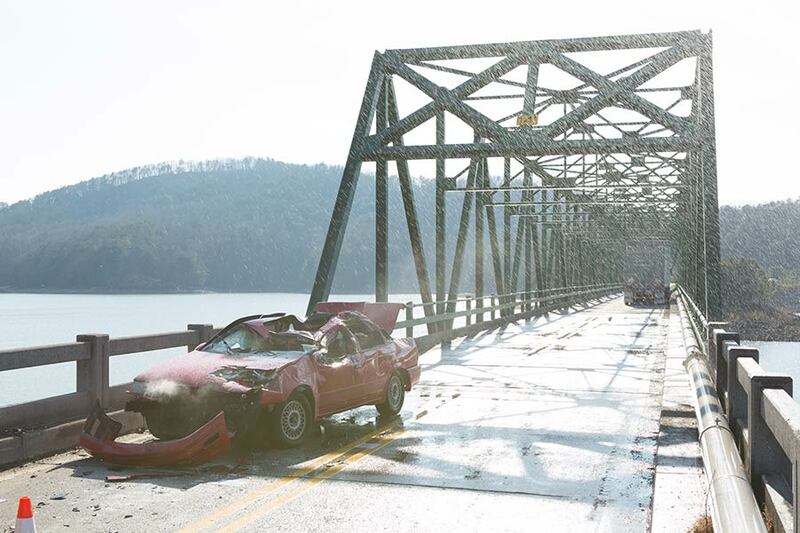 The movie is rated PG-13 because of the intense accident scenes (once you read the book you'll understand). 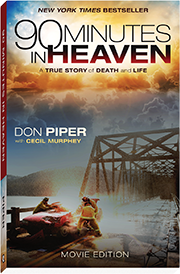 I'm thrilled to be giving away a copy of the movie edition of the book "90 Minutes in Heaven". Just enter using the rafflecopter below and good luck! If you have read the book, read the book, or see the movie please share your thoughts on it in the comments. I have added this to my to-read shelf on goodreads.com thanks for the review!